The $100,000 award celebrates the outstanding achievements of women in science and is recognized as one of the premier international science awards. Dr. Segenet was honored for her research on how microorganisms living in symbiosis with forage grasses can improve their capacity to resist disease and adapt to environmental and climate change. Her work is providing new solutions for ecologically responsible food crop production especially by local, small-scale farmers. Born in Fenote Selam, Gojam, Segent did her high school studies in Debre Markos and begun her college education in Alemaya university and later did her master studies in Addis Ababa University. She excelled in her chosen field, plant sciences, and after obtaining her PhD in the United States, she went to Cornell University as a post-doctoral fellow. After having worked in Colombia, she returned to Africa and is now at the heart of an impressive international scientific research network. Dr. Segent said she was “absolutely delighted” to receive the award, and paid tribute to the “exceptionally talented” people she has collaborated with during her career. “It will boost my career, personally. It can also serve to highlight the issue of science and technology, the issue of food security, the issue of science education in Africa, particularly for women and underprivileged young girls,” Dr. Segenet told an interviewer when asked what would be the impact of the award on her work. “I think science, technology and research and education is critical for any country’s development. The difference between my country and for example Germany is the difference in education level, in investment and quality in science and technology. Definitely, for Africa to progress, governments have to invest significantly in the people, in high quality education and technology and research,” she added. Previously, Dr. Segenet has held position as senior scientist in the International Center for Tropical Agriculture in Cali, Colombia and was eventually appointed Leader of Crop and Agroecosystem Management of the Center. Dr. Segenet has received many international awards during her impressive and extensive career. She said it gives her a pleasure to win various awards because her country’s name is also mentioned. Dr. Segenet’s achievement has made me feel proud in our excellent, intellectual and high-sounding women. In the beginning of March I was being mesmerised by Hiwot Teffera’s Tower in the Sky, a literary (non-literary genre) excellence, and now a scientist? International award winner in science? Wow! I tell the world, proudly, behold Ethiopian women are coming! God willing, boom! 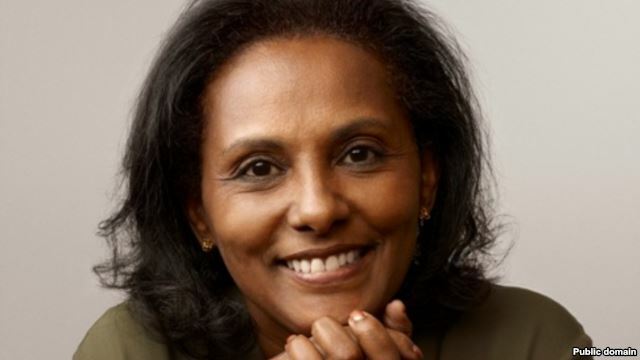 we’ll have a decent Ethiopian mother leading the country! Dr. Segenet , You are really wonderful lady.Please keep in touch……….